I’ve documented a track record in my local Star Tribune newspaper of cheerleading for local medical device companies. This undoubtedly happens across the US in other local papers but I live in Minnesota and we have a lot of medical device companies here and this is what I see most often. And today the paper provides a fresh, classic example of what I mean when I talk about cheerleading. As I’ve opined about past Star Tribune page one health stories, I doubt this story would have appeared in the paper at all – much less on page 1 – if it had come from a company in neighboring Wisconsin, Iowa, Illinois, or the Dakotas. Now of the big three (out of many) things we look for in a story – benefits, harms, costs – the Star Tribune unsurprisingly focused on benefits. Harms and costs were touched on but almost as an afterthought, and buried deep in the story. Check out how the story was framed. Note: there was no independent expert perspective in the story. Only the company president and one of the study principal investigators were quoted. Predicting imminent FDA approval is a crap shoot. You might be right. Often you’re wrong. Journalism should stick to the facts and not play the crystal ball game. Two participants had a serious device-related adverse event requiring repositioning and fixation of the neurostimulator to resolve discomfort. A total of 33 serious adverse events not considered to be related to the implantation procedure or implanted devices were reported. 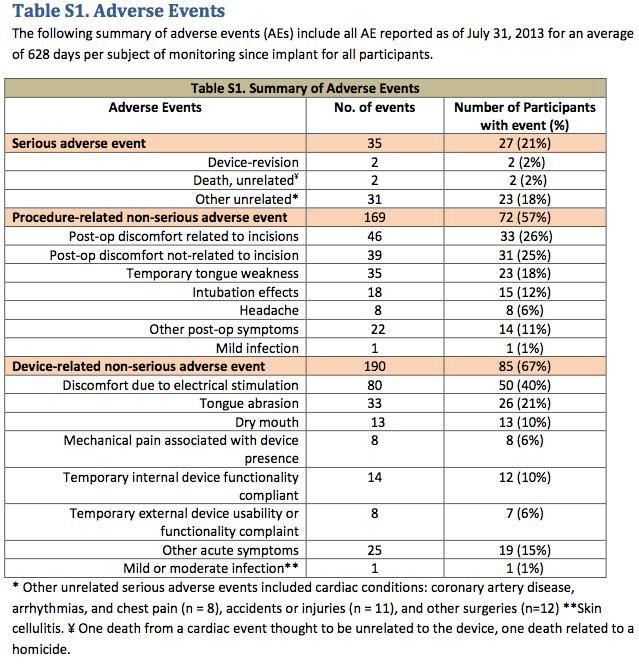 Most of nonserious adverse events related to the procedure (88%) occurred within 30 days after implantation and were expected postsurgical events, including sore throat from intubation, pain at the incision site, and muscle soreness. So the only patient profiled, and the only harm mentioned – one that left the patient wondering if she had made a mistake in her decision to have this done – was categorized by the researchers as a “non-serious” problem. 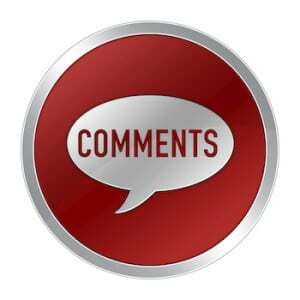 And, while the researchers reported that only 2% of patients had device-related serious adverse events, more than half had “procedure-related non-serious” problems such as the woman quoted. And more than half had “device-related non-serious” problems. Not surprising, given that this is a surgical procedure. But none of this was in the newspaper. It’s not difficult to find these numbers when you put more emphasis on reading the study than on merely listening to company presidents and principal investigators. Finally, the device’s projected cost was mentioned, but only after the jump to another page deeper in the paper, and only in the second last sentence of a 900-word story. 30-to-1 cost increases are kind of important in most industries. Gee, maybe this is one contributing factor to explain why the “sleep apnea market (is) expected to hit $7 billion by 2017” and something that just might deserve a little bit more discussion, including from independent voices (who were not heard from in this story). Summary: this may turn out to be a very useful technology that will help many people. That’s not in question here. We question the framing of health care stories – what they emphasize and what they minimize or ignore. This one is another classic case of cheerleading trumping journalism. Addendum on January 10: Another news story this week, “Medtronic’s Renal Denervation System Fails,” should serve as a lesson to those who write giddy stories about early research findings. Medtronic’s Symplicity device had been touted as a high blood pressure treatment after earlier, smaller study results. But in a larger study, it failed to meet its study goal, and now the company has stopped enrolling new patients. Researchers said they were “dumbfounded,” that “this is a very surprising result, entirely unexpected,” a “huge disappointment,” and that the major lesson of the trial was: “If the data are too good to be true, they usually are!” These are all lessons for journalists who write about new medical technologies, and for the public who reads their stuff.